John Powers is the author of four books. His most recent books are The Junk Drawer, Corner Store, and Front Porch Blues. He is also the playwright and co-producer of the Broadway musical "Do Black Patent Leather Shoes Really Reflect Up?" which is playing in over a dozen cities. 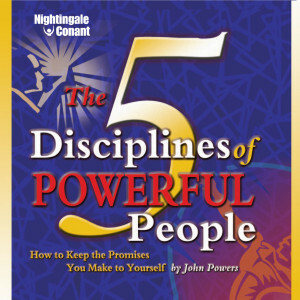 He is also author to the popular Nightingale-Conant program The 5 Disciplines of Powerful People.John Powers has an extensive communications background. He performed his own one man show, Scissors, Paper, Rock, and has hosted his own PBS special. John Powers has appeared on hundreds of radio and television shows including Oprah and The Today Show. John Powers has also received two Emmy Awards for his work on television.A motivational speaker for the past ten years, John Powers has spoken to such organizations as The American Bar Association, American Express, Arco Oil, Business Week, The British Petroleum Group, The Million Dollar Round Table, RE/MAX International, The United States Post Office and U.S. Steel. John Powers holds a Ph.D. in Communications from Northwestern University and was a professor of Speech and Performing Arts at Northwestern Illinois University.Dr. Powers lived in Lake Geneva, Wisconsin with his wife JaNelle Meyers Powers, whom he met while she was performing in the original production of his play. He also has two daughters: actress/playwright, Jacey Powers and journalist Joy Victoria Powers.